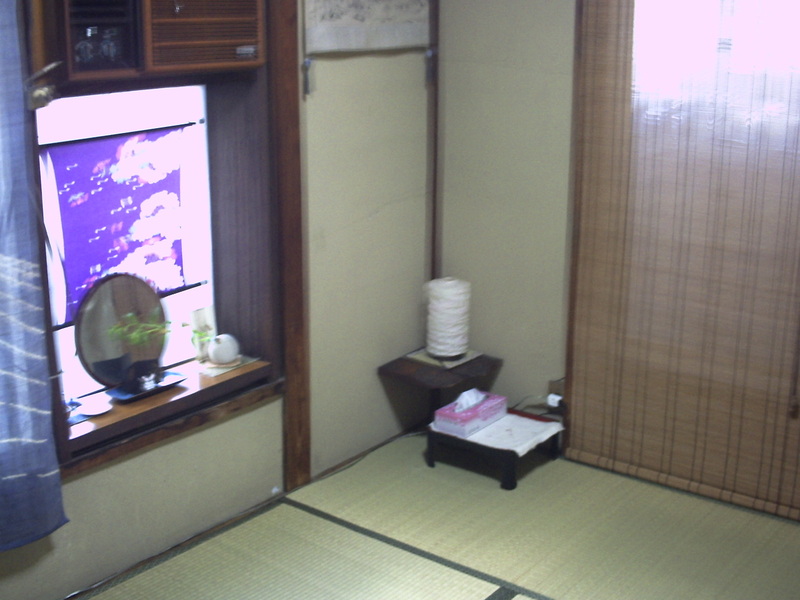 This room is slightly smaller than Kame, and has no oshire (closet for bedding storage). We recently replaced the tatami floor. It gets the morning sun. It's in a corner of the building, so it's fairly quiet (except for some foot traffic in the lane outside) and also fairly private. It can accommodate one couple (one double size futon) comfortably. Two single futons is a bit of a squeeze, but we do it sometimes.